Our sophisticated in-house engineering department offers extensive support to our construction departments. (design calculations and bills of material) and further specialised services, like 2D and 3D modelling. Our engineers specialise in light steel frame construction and provide Steel Detailing (anchor bolt plans, staircases, etc. ), Reinforced Concrete Detailing (foundations, retaining walls, pile caps, columns, beams, slabs, staircases, etc. ), Cold Formed Steel Detailing (sheet metal developments) and Hot Rolled Steel Detailing. "The number of projects completed since our inception has helped us achieve record growth figures, but what we’re most proud of is the fact that we’ve set building industry best practice standards and benchmarks – influencing the future of construction nationally." Is Silverline Group Engineering an in-house services? Yes, it is. We employ more than six staff members in our dedicated engineering office. On what does Silverline Group Engineering focus? Our engineers have specialized in Light Steel Frame construction with a focus on Steel Detailing, Reinforced Concrete, Cold Formed Steel and Hot Rolled Steel. Our engineers also create detailed engineer’s drawing in 2D and 3D-renderings. What does the Silverline Group do? Silverline Group is a construction company, offering the entire spectrum of building services – from architectural support to detailed shop drawings, from quantity surveying to project management and lots more. We build green buildings from light steel framing, a revolutionary building process that is environmentally friendly, delivers fast results, offers bigger internal space than brick-and-mortar buildings, and is more efficient. We operate on a national level in South Africa, with operations in Africa, the Caribbean and even Australia. We offer franchise opportunities to builders and businessmen. 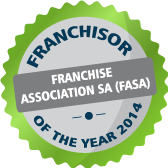 For more information on our franchise offering, check out our Franchise website. What are the prospects for the Light Steel Frame industry in general? It is one of the most exciting developments in steel and construction in recent times. It has been perfected over the last 50 years and has become the preferred way of building in many countries like the USA, Canada, the UK, Australia and New Zeeland. Although it has only been recently introduced to South Africa, it is growing at an annual rate of 25%. Astounding, isn’t it? We believe the scope for the future is almost without limit. What makes Light Steel Frame construction different from traditional building methods? Compared to traditional methods, LSF construction delivers structures of a higher quality and with less wastage – quicker and more cost-effective than brick-and-mortar. What’s more, it is done to exact building specifications, the material is fully customisable to the client’s requirements and the architectural style. Furthermore, steel is 100% recyclable and currently the most recycled product in the world. It is green, reducing carbon footprints by up to 80% and allows for future-orientated construction practices. All-in-all a much better option than traditional building methods. What is Light Steel Frame construction? Light Steel Frame construction is an alternative building system, recently introduced to South Africa, used to build steel frame homes and other structures. Light Steel Frame construction offers a wide range of benefits that beat traditional brick-and-mortar buildings – it is greener, more efficient, quicker to erect and more durable. How sustainable is Light Steel Frame construction, considering it is relatively new to the South African market? We believe it is exceptionally sustainable. Between 2012 and 2014 Silverline Group experienced growth of 500% in an industry segment that is predicted to grow by 25% per year. On a global scale, 53% of all construction activity is in emerging markets and Silverline Group is ideally positioned to take full advantage of these facts. How eco-friendly is Light Steel Framing? There are many benefits – the water used in the steel making process is recycled and returned, often cleaner than when it was taken from the source; every piece of steel contains recycled content (it can be recycled again and again into new, high quality products); and more steel is recycled than aluminium, glass and paper combined. A typical house framed in steel, requires the equivalent of about six, scrapped automobiles while a similar house framed in wood requires lumber from 40 to 50 trees. How do I contact Silverline Group Engineering? You can contact us via e-mail, phone, fax or through our website. For more details, visit our Contact Page.